And the Voyager rewatch is a wrap! My husband said something interesting about Voyager, that it’s the most even-keeled of the series. 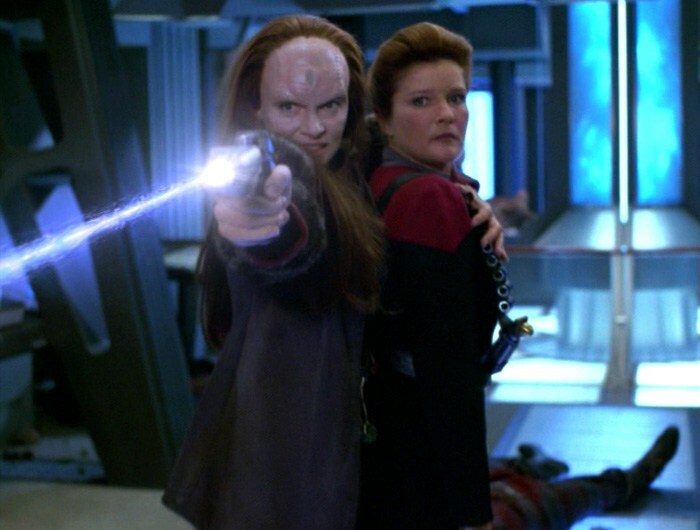 The others have extreme highs and extreme lows, so Voyager doesn’t stand out as much to me. But I do like the characters and their arcs, and that’s what matters most to me at the end of the day. This is a good, standard Star Trek episode that acts as a commentary for human ethics, more specifically where health care is concerned. Icheb takes a risk in order to save Seven, and I just love the portrayal of their relationship in this episode. Icheb has become a productive member of the crew and a mature young man, and it’s heartwarming see how he cares for his surrogate mother. This one is just plain funny. The doctor is forced to inhabit Seven’s body in order to hide from a group of aliens looking to destroy holographic beings. 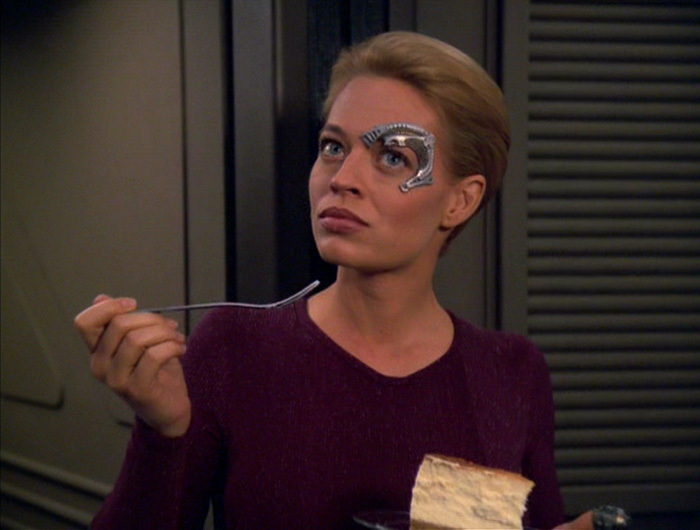 Let’s just say Jeri Ryan did amazing work on this episode playing The Doctor in Seven’s body. Voyager is caught in a temporal rift, and Chakotay must find a way to get the crew of Voyager set in various time periods to help him solve the problem. Seven is finally exploring her humanity more as she starts using a holodeck program to help her gain new social skills. Fantasy has a way of interfering with her real life, a theme I almost always enjoy exploring. 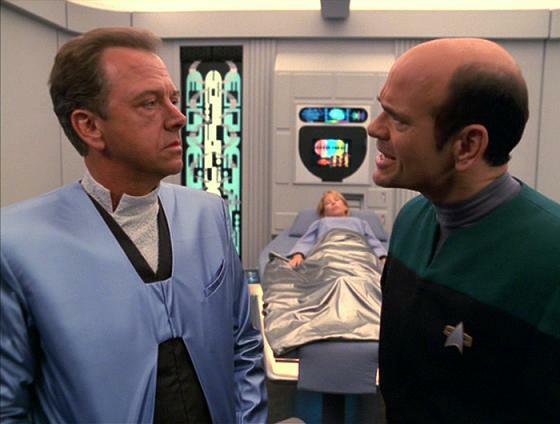 What are your favorite episodes of Voyager season seven? Nice list. I’m not shocked that you left “Endgame” off, though. I don’t dislike Endgame, but I was a little underwhelmed with it on the rewatch. I was too when I rewatched it some time back. It just felt so rushed.